The excellent Pickle Factory next door will be serving food and running a bar. ​On July 2nd 2017 we gathered at Centrespace - an artist-owned studio and event space located along the tiny Leonard Lane in Bristol, and home to the Letterpress Collective - for an evening of water-inspired poetry, music and film. ​After a short interval and beverages from the bar, the second half of the evening commenced with poems by Libby Houston. Libby is a botanist and rock climber who has spent many a day hanging off ropes in the Avon Gorge, where she famously discovered a new species of whitebeam. Her poems were wonderfully evocative of relationships with these natural landscapes. This rare performance was a real treat, as Libby has not performed her poetry for many years, and was truly a delight. Another performance that was a rare treat was that of Legacy, a group of guitarists led by Alex Hogg performing rhythmic and fluid music, in accompaniment to the 1929 film poem on water by Ralph Steiner. Mesmerised by the music of Legacy, we then plunged below the city of Bristol through a film by Antony Lyons exploring the underground spaces of water in Bristol through the eyes of the people who maintain the sewers and culverts, descending into these tunnels and caves to keep the circulation of water in the city in flow. The film gave the sense of the city as a body, accompanied by human heart-beats (including that of Antony's child when she had been in the womb). An evocative connection between the human and the city, truly a Water City Bristol expression. Thanks to Antony Lyons, Nick Hand, Helena Enright and Owain Jones for organising and hosting Down by the River. The Bristol Festival of Nature is a major annual event held at Bristol's harbour area. It attracts many 1000s of visitors. For the last few years it has expanded to hold events beyond Bristol - in Keynsham and Bath - on consecutive weekends in June. As all three of these sites are located by the River Avon it has adopted river themes in recent years. This was an obvious attraction to the large AHRC ‘Towards Hydrocitizenship’ project with its focus on reconnecting communities through, and to, water in various forms. Professor Owain Jones and others in the team has previous experience of running public-engagement stalls at The Festival of Nature in 2012, 2013, and 2014 on various aspects of Bristol’s rivers and tides. Water City Bristol, the Bristol case-study within the wider project, has developed 4 themes of focus in its ongoing work with various communities, schools and creative partners. Under the overarching theme of ‘Hidden Waters’, and developed by the lead creative partner NOVA Creative Lab in conjunction with the team from Bath Spa University, UWE and Bristol University and other freelance artists and community enablers, events, films, walks and other creative output have been generated under the headings: Hidden Rivers, Hidden Tides, Hidden Ecologies, and Hidden Infrastructure. In our work upon Hidden Ecologies, eels and elvers have emerged as an important focus. It also became apparent that the town of Keynsham had a very interesting and distinctive history of eel and elver culture. This is mostly culinary in nature with ancient and more recent records of, and recipes for, Keynsham Eel-pie and Keynsham Elver-cake. 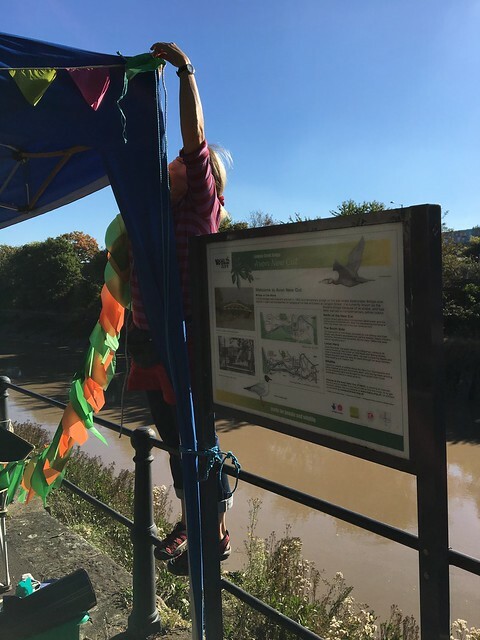 This seemed an ideal opportunity to not only display information about this history - in Keynsham, by the river – but also to discuss the all-important theme of river ecologies and biodiversity. Eel numbers in the UK and the South West of England/Severn Estuary area, where they were extraordinarily prolific and key elements of local ecology and culture, have declined drastically over the last 40 years. Working with our project partner – the very active and influential Sustainable Eel Group (SEG) – we assembled a suite of materials to show on the day. This included a short animated film made especially for the project by the animator Lucy Izzard; display boards, banners and printed material by SEG; displays of local books about eel history in the region; copies of the famous Keynsham eel/elver recipes; posters of key messages; and posters made for the premiere of the eel animation film which took place at Aardman Studios Bristol a few days previously. We are grateful to Bath Spa Live for printing some lovely display boards and for providing the gazebo and table and chairs for the day. The stall was staffed through a very hot day by Andrew Kerr (SEG), Owain Jones (BSU), Katherine Jones (UWE), and Antony Lyons of NOVA Creative Lab. The stall had a steady throughput of people with approximately 25 small groups watching the film which was playing on a loop (approx. 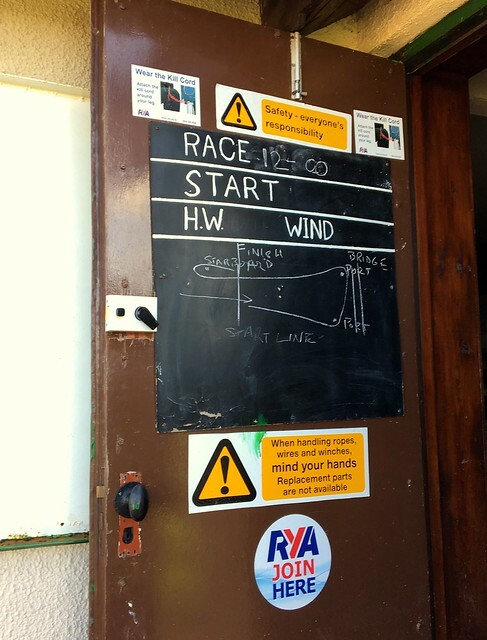 75 viewers in total – many children), with many more stopping to read the information and chat with the crew. Good contacts were made with Avon Wildlife Trust, and a few local ‘eel stories’ gathered for future use. A series of pictures of the day are on the project Flickr site here. An event co-produced with Friends of Avon New Cut (FrANC).